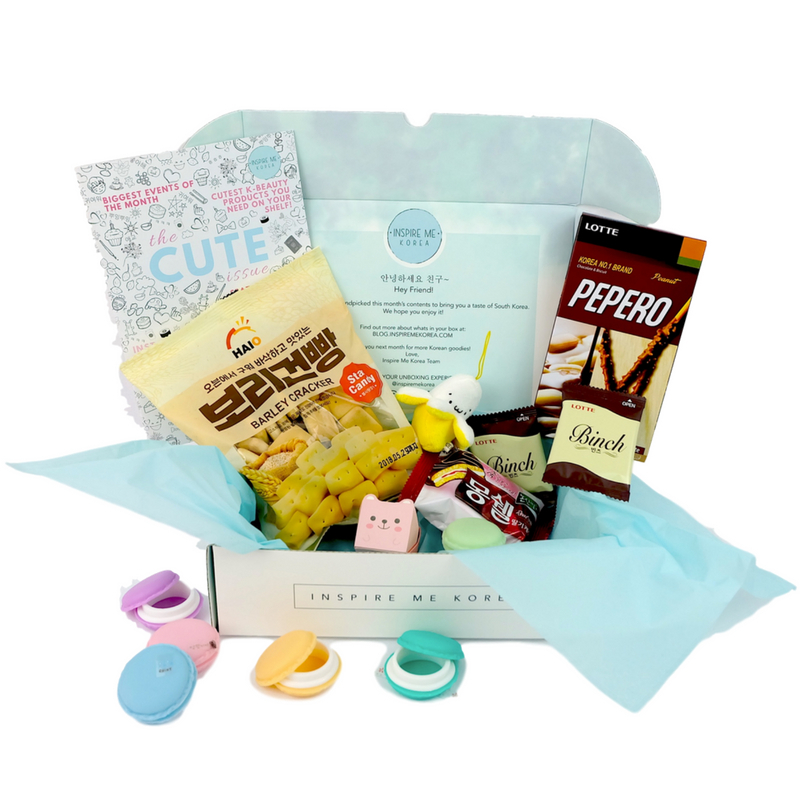 Get a taste of South Korea without getting on a plane with our TASTER Box! A great selection of Korean goodies including popular Korean snacks, Korean culture merchandise and our magazine introducing Korean culture, trends, entertainment, with language section that teaches you Korean plus recipes, reviews and much more, this box is fun AND educational! These boxes are slightly smaller in contents than our subscription boxes, designed as a one off box to give you a flavour of our boxes. For the real deal - we recommend subscribing to our monthly CULTURE box! This box does NOT contain Korean beauty products. If you are interested in Korean Beauty/Skincare, you should check out our 7 DAY SHEET MASK SET! I got this as a gift for my friend and was so happy to see it was beyond better than what I had expected. I love this service, thank you !!! I like that it provides a nice mix of what the Cutlure Box is about. If your uncertain about ordering the Culture Box or if you have a smaller budget, this box is perfect for you. I liked mine which was full of interesting items and delicious snacks.